In its simplest form, Hodge theory is the study of periods - integrals of algebraic differential forms which arise in the study of complex geometry and moduli, number theory and physics. 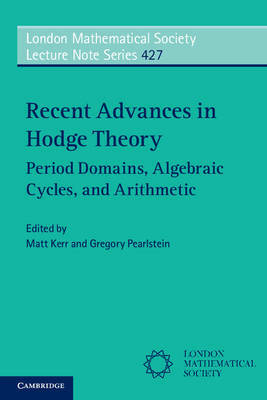 Organized around the basic concepts of variations of Hodge structure and period maps, this volume draws together new developments in deformation theory, mirror symmetry, Galois representations, iterated integrals, algebraic cycles and the Hodge conjecture. Its mixture of high-quality expository and research articles make it a useful resource for graduate students and seasoned researchers alike.